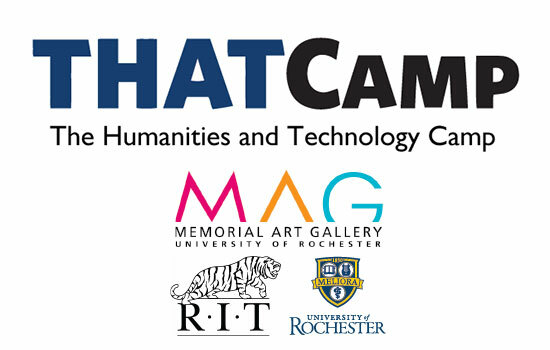 College students, faculty and staff interested in the humanities and technology are urged to attend THATCamp, from 9 a.m. to 5 p.m. March 23 at the Memorial Art Gallery, 500 University Ave., Rochester. THATCamp brings students of all skill levels together in group discussions, hands-on workshops and pop-up collaborations. It is co-sponsored by Rochester Institute of Technology’s digital humanities and social sciences program, the University of Rochester’s Andrew W. Mellon Graduate program in digital humanities, and the Memorial Art Gallery. “THATCamp is an innovative space for our students to engage with area scholars and practitioners,” said Associate Professor Jessica Lieberman, director of RIT’s digital humanities and social sciences program. Participants will be challenged to consider how digital media affect the public’s experience of galleries, museums, libraries and archives. Researchers, teachers, students, developers, coders, librarians, museum professionals and others will discuss digital projects, learn and teach each other new programs and skills, and brainstorm initiatives to support cultural work in digital technology. With a permanent collection of more than 12,000 objects, the Memorial Art Gallery will make data on the museum’s collection accessible to all participants. Andrew Cappetta, the gallery’s assistant curator of academic programs, will introduce a project-based course in contemporary museum practices in which students create proposals for the display of the museum’s collection. “I am excited that my students will meet other participants and engage in cutting-edge scholarship on the use of digital technology in museums and libraries,” Cappetta said. Registration is $25 (waived for undergraduates with student ID) and includes breakfast and lunch. For more information, to register or to propose a session, go to Rochester2018.thatcamp.orgâ€‹.